A pivotal clinical study in the U.S. on the Tendyne Transcatheter Mitral Valve Replacement (TMVR) system for treating mitral regurgitation has been commenced by Abbott. The untried Tendyne device is the foremost and single mitral valve replacement that can be relocated and entirely salvaged, enabling the surgeon to accurately position the device during implantation, resulting in better patient outcomes. SUMMIT, the so-named study, will register about 1,010 patients in 80 locations throughout the U.S., EU and Canada to assess the safety and efficacy of the treatment with the Tendyne TMVR for patients with severe MR. The study will evaluate a related resultant of death, cardiovascular hospitalization, stroke or reoperation after one year. 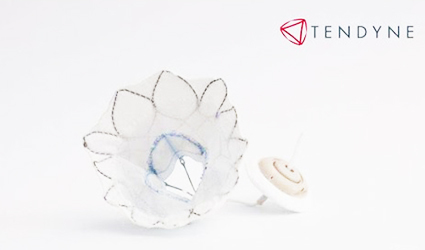 The Tendyne TMVR will replace the patient’s natural mitral valve without open-heart surgery to minimize their heart failure symptoms. The device is a tri-leaflet, bioprosthetic valve accessible in numerous sizes, and is positioned by a pad and a tether mechanism that fixes the pad in place where it's been implanted within the native valve. "The mitral valve is known for its complex anatomy and, as a result, managing mitral regurgitation can be challenging, especially in elderly or frail patients for whom there are limited to no treatment options," said Bassem M. Chehab, M.D., medical director of Via Christi's structural heart program, who implanted the first patient in the study. "Transcatheter mitral valve replacement represents a new frontier in treating people whose valve does not close properly and who would benefit from a replacement valve instead of repair," said Michael Dale, vice president of Abbott's structural heart business.